Trademark law is a complex web of federal laws dating back to 1870. Trademark law covers words, phrases, logos, sounds, colors, and other ways businesses want to set themselves apart from their competitors and others in the marketplace. With the expansion of the internet and the ability to do business much more easily on a national and global scale, trademark protection has become more important to businesses of all size. The challenge has been that as the barriers to commerce have come down, legal barriers still exist and need to be considered. 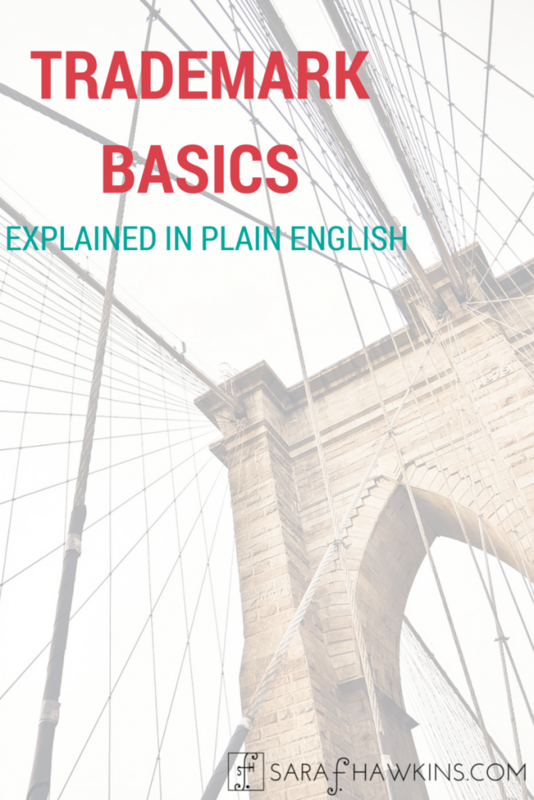 To help you better understand some of the basics of trademark laws, how they work, and some of the issues I’ve put together answers in plain English to frequently asked questions. 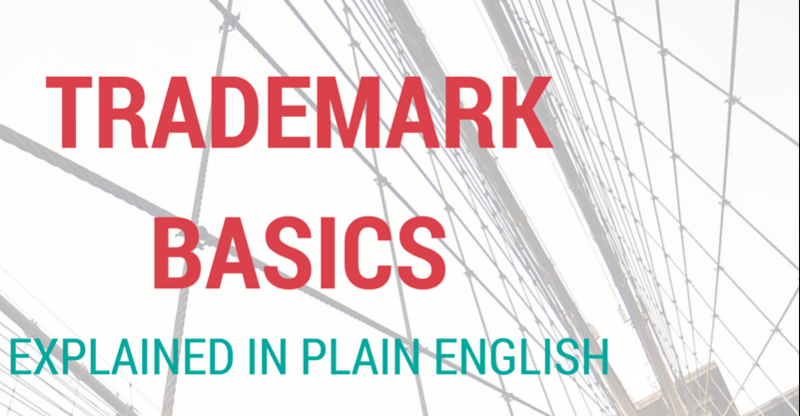 Trademark laws are not written in plain English, yet you’re required to know how it all works. Generally, a trademark is a word, phrase, logo, symbol, or character, or a combination thereof, used in connection with goods and services distributed in interstate commerce that serve to identify the source of the products or services and distinguish it from competitors. What this means is that pretty much anything can be put forth as a trademark, so long as it is not obscene. Colors and color patterns have received a federal registration (ex. : the pink for Owens Corning insulation, the plaid design of Scotch tape and blue color for painter’s tape from 3M), as well as sounds which are known as sound marks (ex. : NBC chimes, Lucasfilms THX Deep Note). Can any trademark get registered? In theory the answer is “Yes.” However, in reality, the answer is “No.” You can submit a registration of your mark, but the US Patent and Trademark Office (USPTO) reviews registrations to ensure that they meet the requirements set forth in the Lanham Act. There are a host of guidelines that are followed to ensure that a mark meets all the defined criteria before it can be registered. A service mark is a special designation for marks that are specifically related to the offering of a service rather than tangible goods. What is the difference between the TM, SM, and ®? The “TM”, which is an abbreviation for trademark, can be used at any time when you want to assert trademark rights to your word, phrase, logo, symbol, etc for goods. It does not have significant legal meaning since trademark rights can be asserted at any time prior to registration under the common law doctrine of trademark rights. By using the mark in the ordinary course of business, a business would obtain common law rights. 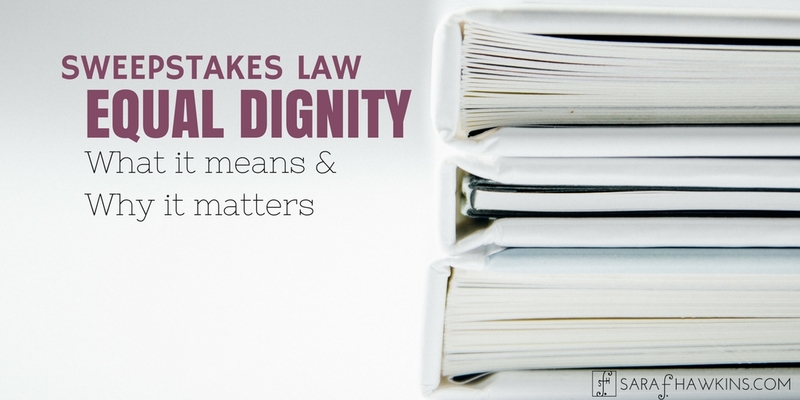 Common law rights vary in degree and may or may not confer any significant protection. The “SM” is carries all the same rights as the “TM” except it’s used for services and not goods. The ® means the mark has received federal registration from the USPTO and is in good standing. Keep in mind that if the registration is abandoned or cancelled the ® designation should no longer be used with the mark. How are trademark rights obtained? In the US, Canada, and United Kingdom (and most former British Commonwealth countries), the general rule is “first to use” whereas in most other countries they use the “first to file” rule. Keep in mind, though, that just because you were the first to use the mark it doesn’t mean someone else is prohibited from filing a registration with the USPTO before you and seek to register the same or similar mark. If that happens, be prepared to hire an attorney to begin the process of opposing their registration. Where do I register my trademark? Registration can be had at both the state and federal level. While federal registration with the USPTO is the highest level of registration, it requires that a mark be or intended to be used in interstate commerce. If the mark is only used within a single state, federal registration would not be permitted. In that case, a business or individual may find protection at the state level. Do I need an attorney to register my trademark? As an attorney, I should probably say yes you absolutely need an attorney to file for registration of your trademark. However, there is no law requiring an attorney to file the registration with the USPTO or state agency if it’s a state-only mark. That being said, the registration process can be cumbersome to the lay person resulting in delay or refusal for seemingly innocent mistakes. Over half of all non-attorney filings are found to have errors that result in a refusal to register. What if someone registers my trademark for the same or similar goods or services before I do? If you begin using a mark first but prior to registering the mark someone else comes along and registers the exact (or very similar) mark, you will need to follow the process to oppose their registration. The USPTO may find your mark in a general internet search, but the examining attorney will not likely refuse the registration based on your common law rights. There is a detailed opposition process that must be followed and you will want to consult an attorney to ensure you follow that process because the consequences of doing it wrong may mean you can not use the trademark you’ve worked hard for. What if someone already registered the same trademark but for different goods or services? There are a number of very familiar marks that have been registered by more than one party. I often use Delta as an example since most people are familiar with Delta airlines and Delta faucets. Based on one of the key criteria used for determining if a subsequent mark can register, the examining attorney has to examine the “likelihood of confusion”. Often the question asked is “Would the average consumer be confused as to the origin and source of the goods or services?”. I think you would agree that few people reading or hearing about travel and come across the mark Delta would confuse the airline for the plumbing supply company. Where the goods or services are so unrelated that the average consumer would not be confused about where the goods or services are coming from, different companies can use the same mark. That being said, federal law permits what are known as “famous marks” and will likely prohibit registrations even though the goods or services are unrelated under trademark anti-dilution laws. While this is a very complex subset of trademark law, the easy explanation is that you likely can’t use a mark as famous as Apple and attach it to your new product regardless of what it is. Even if no reasonable person could be confused about the source of your widgets, there is a presumption that they would be and your registration would be barred. I know your next question, so I’ll answer that too – Can you use the mark even if you don’t register it? Probably not without getting a cease and desist letter from the trademark owner. Maybe you won’t, but it’s definitely a risk you take. Is there such thing as Fair Use? Short answer is yes. The long answer is, well, long. Unlike copyright law which has a relatively well-established history and broad use under the doctrine of Fair Use, trademark law does not use the same four-prong test. Under trademark law there are two fair use defenses: nominative fair use (use of the mark to refer to the actual trademarked product, service, or owner), classic fair use (use of the mark to accurately describe an aspect of your product or service), and parody. The defense of Fair Use will likely never be met with understanding or seeing your side of the argument. Why did I get a Cease and Desist when I see other people using the trademark? I get this question often and there really is no known answer. It’s like getting stopped for speeding when everyone else around you is speeding too. Trademark owners are required to police their mark and prevent others from misusing their mark or they risk losing the registration. In some cases, the trademark owner is very vigilant because they don’t want inappropriate goods or services associated with their company; whereas another company may not want their mark to become generic (ex. : Xerox and Kleenex). A trademark owner who does not police their mark runs the risk of losing it, so while it may seem like a personal attack it’s just business. If you do get a Cease and Desist letter, you may want to contact a lawyer to find out what, if any, options you may have. Should my new company care about trademarks? In a single word, yes! I say this because I’ve seen a number of start-ups get well in to initial marketing and funding only to be hit with a Cease and Desist, or, worse, a trademark infringement lawsuit. If your mark is intrinsically tied to your goods or services budget for legal services and spend the money to know if there are any risks to using the mark. I guarantee that the few thousand you spend up-front will pale in comparison to the tens-of thousands associated with defending a case or abandoning your mark. Can I stop people from using my trademark for domain names? Just as with filing a complaint with a court, before filing a protest with ICANN you should seek legal counsel to ensure you have the legal right to file. Common law trademarks are valid as long as you use the mark, unless another determination ends that use. Federal registrations are valid for 10 years, but can be renewed seemingly forever. Keep in mind, however, that during the first 10 years, to keep the mark in good-standing a “Section 8 Affidavit” must be filed during the fifth year of registration. These “Section 8 Affidavit” filings are also required for subsequent term renewals. You will want to keep track of all the important dates to keep your registration valid. What information do I have to provide in a trademark registration? The USPTO registration requires information about the mark you want to use, if you’re currently using it or if you intend to use it, a specimen of the mark in use, the date the mark was first used in interstate commerce, the description of the goods or services on which the mark is or will be used, the class of goods or services, as well as information about the person or company claiming ownership. Since this is public information and you will need to provide a mailing address, if you are a start-up or home-based business you may not want to provide your physical home address and may wish to obtain a mailing address from a third-party mail service provider. My mark is stylized or includes a specific color, do I have to register the stylization? Again, short answer and long answer with this one. The short answer is “No.” Protection is granted to unstylized marks just as they are to those that incorporate a certain font, design, color, or stylization. If, however, the color or stylization are integral to the mark (ex., the font for Coca-Cola) you may want to protect both the unstylized mark as well as the stylization. The USPTO fees are set by the director under authority from Congress. Fees change periodically and in January 2015 some fees were reduced to account for greater efficiencies. You have to be vigilant but you don’t have to be mean. I say this because I’ve seen my fair share of cease and desist letters received by clients that are just plain rude. With a federally registered mark, you are required to police situations of potential infringement or you risk losing your mark. As mentioned above, there may be instances where you do not seek enforcement but, in general, you will be required to show that you are protecting your intellectual property. In situation of alleged infringement there is no one designated protocol for enforcement. Many will begin with a letter from the company to the alleged infringer asking them to stop using the mark (a friendly “cease and desist” letter). Some will bypass the friendly letter and, instead, begin with a formal Cease and Desist letter from their attorney. Still, there are situations where the only appropriate first step is filing a lawsuit. 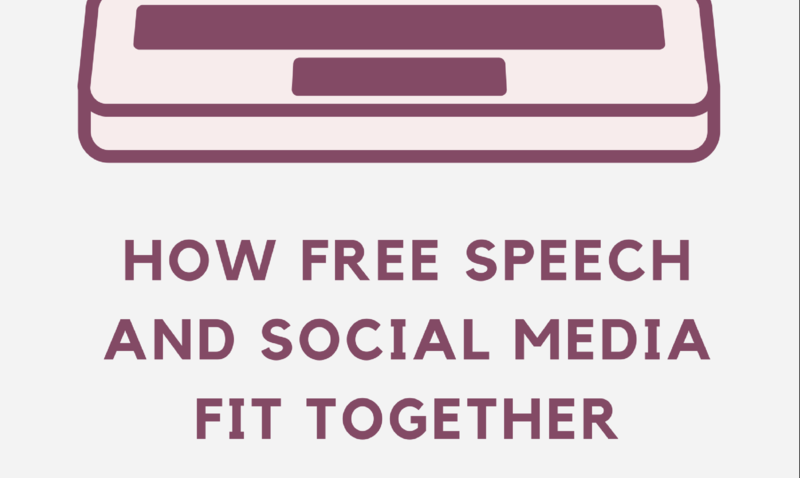 You may want to discuss which option is best or establish a protocol for your business. Does the DMCA work for trademarks? In a word, “No.” The DMCA stands for Digital Millennium Copyright Act and only applies to copyright. There is no equivalent for trademark. This means that there is no “fast track” process for taking down alleged trademark infringement that occurs online. Trademark infringement is when another person or businesses uses the same or similar mark to one in which you have exclusive rights in such a way that actually creates confusion or has a likelihood of creating confusion among consumers or the public. That sounds very legalese, but what it comes down is that you own the mark and someone else is using it in a way that consumers or the public are confused or could be confused as to who the product or service belongs to. The key phrase is “likelihood of confusion”, which is short for “likely to cause consumer confusion as to the source of those goods or as to the sponsorship or approval of such goods”. Back in 1961 the US Supreme Court set out what criteria would be evaluated to make this determination: (1) the strength of the mark; (2) the proximity of the goods; (3) the similarity of the marks; (4) evidence of actual confusion; (5) the similarity of marketing channels used; (6) the degree of caution exercised by the typical purchaser; (7) the defendant’s intent. Trademark infringement cases often come down to very specific details. While it’s much more clear when it’s the same mark for substantially similar products or services, the determination often muddles when it’s unrelated goods. Nonetheless, when it comes to famous or well-known trademarks the strength of the mark often outweighs many of the other criteria. As the word dilution implies, there is a weakening of the trademark by the non-owner that the trademark owner wants to stop. One very important factor in trademark dilution cases is that it only applies to Famous Marks (described below). If the prerequisites have been met, the owner of a mark can bring action against anyone who uses the mark in such as way that dilutes the distinctive quality of the mark either by “blurring” or “tarnishment”. Blurring occurs when the strength or the mark is weakened because the Famous Mark is associated with dissimilar goods. Tarnishment occurs when the same mark is used with goods or services that could diminish the mark by being associated with “unsavory” goods, services, or company. What is a “Famous Mark”? Honestly, this is one of those where you have to go to court to get the determination that your mark is so well-known it’s “famous”. The term “famous” is not defined in any of the federal trademark statutes but courts do consider a number of different criteria in making their determination. Courts will examine the duration and extent of the mark, the advertising, geographic use, the degree of distinctiveness, how recognized the mark is among the general public, use of the mark by third parties, and whether the mark is registered. Still, with all these criteria, courts may not agree and thus there could be inconsistent decisions. What does “likelihood of confusion” really mean? The standard used throughout trademark law is this idea of “likelihood of confusion”. Whether it’s registration or infringement, the use of the mark will be examined as to whether consumers will be confused as to the origin or source of the goods or services. You might say that someone just had to do a little bit of research to find out the company selling the thing, and that may be correct. However, the law doesn’t work that way. There is the pretend person who is clueless about most things and anyone evaluating a trademark against this standard of “likelihood of confusion” uses this pretend person as their baseline. You might think the courts have given guidance as to what we should look for as lay people to determine if there is a likelihood of confusion, but you’d be wrong. While the Court of Appeals for the Federal Circuit has given some guidance, they didn’t set out a standardized test for making this determination. Which makes trademark infringement case quite subjective. Under US law, to obtain a federal registration for a trademark (or service mark) the mark must be used in interstate commerce. But sometimes you want to make sure the name you love will be available when you go to market and not taken up by someone else while you’re creating your product. So, the intent-to-use application was created to allow for the registration to proceed in tandem with the development. This is often how we find out about those no-so-secret cool tech gadgets on the horizon; because the company has filed a trademark application for the product. While the registration process will move forward, no registration will issue until the USPTO has satisfactory proof that the mark is actually used in commerce. I hope these have helped you better understand trademark laws and the basics of registering and protecting your trademark. If you are considering registering a trademark, I would be happy to assist you. I have been providing counsel on trademark laws and registration for over 15 years. Please contact me if you’d like to inquire about working with me. How can people stuff on Etsy with another company’s trademark? This is a common question and many sites other than Etsy can easily be substituted in that question. Part of the answer is that many people don’t understand that trademark law prohibits them from using someone else’s trademark (especially a registered mark) for their own financial gain. It should be common sense that you don’t get to put Disney on your shirts and sell them. There’s a reason companies license their intellectual property. The other part of the reason is that some people just don’t care what the law says since they believe there is little chance they’ll get caught and even if they do what’s really going to happen. Well, I’ll tell you what’s really going to happen – you can get sued, for a lot of money. Even if they get nothing from you do you really want to deal with a lawsuit? Maybe some people do. So, how can people do this, which is clearly in violation of Etsy’s (and likely any other similar site’s) Terms of Service? Since Etsy does not actively review each listing, there is a self-policing. And just like speeding, sometimes you get caught and sometimes you don’t. But that never makes speeding legal. This is some really great information, thanks so much! Thank you very much, Rena. Glad you found it helpful. No one really has the right to threaten anyone. However, a cease and desist is often viewed as a threat. This is especially true when the letter has a very negative tone or is not legally accurate and takes on a very personal view of the law. The idea that the use of a trademark is beneficial and thus permitted is a serious misconception of trademark law. Just because one uses another’s trademark in a positive light does not mean it is a legal use. That being said, many companies do not employ knowledgeable people to monitor their intellectual property and thus we see examples of a trademark-holder asserting rights without understanding all the laws related to its use by a third-party. Does a trademark-holder have the right to order the removal of their mark? Sure, but are there legally permissible defenses to the alleged infringement? The challenge is that defenses are a legal construct and decided by a judge/jury and not by the third-party using the mark. Unfortunately, it’s not a clearly black and while issue with a bright-line rule to wave in the face of a company seeking to stop what it believes to be the infringing use of their mark. I really enjoyed this information on Trademarks and I would like to discuss our site with you. What is the best way to set up a consultation with you? This is very helpful information. When doing a search on TESS, say then word Beer. and there is a phrase with beer in it, I understand the phrase is trademarked but is the word Beer also trademarked? Another example is Squat- used in a phrase, is squat also trademarked? In instances where a trademark application includes a common word (i.e., Beer), the application will normally include a disclaimer of the common word in the standard form as follows “NO CLAIM IS MADE TO THE EXCLUSIVE RIGHT TO USE “BEER” APART FROM THE MARK AS SHOWN”. An examiner may miss this or not feel a disclaimer is required but if there were to be a challenge to a mark, the lack of disclaimer that would need to be resolved prior to any determination of infringement. Hey, thanks for posting this. Great insights indeed! I’m on track to register my company as a LLC and then TM the name. Its gonna be primarily clothing. Now I want to use the abbreviation of my company name as a design on my goods. Hypothetical example: company name ‘General Motor Company’ (registered LLC & TM to my name), my design being ‘GMC’. Now conducting research I find that ‘GMC’ is trademarked by someone else as a clothing/apparel TM. This puts me in a dilemma, I own what GMC stands for, but someone else owns ‘GMC’. Can I use the abbreviation as a design (not just as one design amongst many, but as the re-occurring main design) of all my merchandise or will that infringe on the ‘GMC’-holders TM? –> Following this question, if it would be infringement: I looked up their company (to stay in hypothetical example) ‘GMC holdings LLC’ and fount there to be NO website, business, associates or anything that would indicate use of the TM, not even former products or OOB post/news. Is there a way to take over this (apparently) unused, but registered TM without contacting/buying it from the holder and without him/her being neither dead or abandoned? Are there any annual costs to holding a TM (like the state LLC tax) I could use as leverage when trying to buy out the TM (assuming he is not using it and its only a source of lost money to him)? Trademarks are unique identifies of the origin of the goods/services so getting a US (or foreign) trademark for something like ‘General Motor Company’ for specific goods/services does not automatically give you the rights in the abbreviation or shortened version. For example, and disregarding the existence of the National Basketball Association, just because one owns the mark ‘National Bowling Association’ for professional sports, namely bowling would not necessarily give them the right to prevent the National Badminton Association from registering the mark ‘NBA’ for amateur bowling league. There is no requirement to have a website, have a company with the same name, other products, etc. to establish rights. Trademark rights are established by usage in interstate commerce, which may take on any variety of manifestations. If a mark was registered and is then no longer used in interstate commerce, there is the process of cancellation of the mark that can be explored. It’s a very detailed and expensive process because the USPTO doesn’t want to make it easy for just anyone to invalidate another’s registration. In addition, some of these examples don’t tell the whole story because ‘famous marks’ receive a greater level of protection. As for annual costs of holding a registered trademark, there are none. However, there are period maintenance filings with the USPTO in years 5/6, 9/10, and then ever 10 years thereafter which can range from a $125/class filing fee to much more depending on the specifics of the registration and goals of each specific maintenance filing. Purchasing a registered trademark is not unlike purchasing any other corporate asset. You need to do your due diligence in a number of areas. I am looking to use the abbreviation of my company name (LLC) which I have trademarked (TM) as the main design on my merchandise. However this abbreviation is trademarked itself by a different entity (not me). hypothetical Example: company name & TM ‘General Motor Cars’ owned by me; abbreviation ‘GMC’ owned by Hank. Can I build cars and put the same, written GMC logo on all my cars, clearly intended as abbreviation, but at the same time separately held TM? Upon research I found that the (to stay in example) ‘GMC Holdings LLC’ company, holding the ‘GMC’ TM has an address, but there is no associated business. no store front, no website, no actual or former use of the TM on any merchandise or product from this company. – Do they maintain and secure ownership of the TM even without using it for anything? Can I contest their ownership on any of those grounds? Should I always register TM not just the company name but also the abbreviation, so I can secure the rights of using it, not as name but as design on my product? Many large companies have separate subsidiaries that are the owner of all the intellectual property for the main company. This is done for a number of strategic reasons and is very common. Just because the IP holding company doesn’t have a store or website or sell the products/services doesn’t mean that it’s not validly held. Since the IP holding company is normally a subsidiary of the sales/manufacturing company, there is little question as to whether the holder of the registered mark is or is not using the mark in interstate commerce. Contesting the validity of a trademark registration is a very complex legal process that should not be entered into lightly. As for should you register both the full mark and an abbreviation of the mark, that’s also a complex question. A mark can only be registered if it’s used in interstate commerce to identify the origin and source of the goods/services being offered. If the mark holder does not use the abbreviation in association with the goods/services, applying for the trademark registration may be a waste of time and money. For example, just because others start calling Instagram by the short form ‘IG’ doesn’t mean that Instagram would have the right to register ‘IG’ as its mark if the company itself does not use it for its own goods/services. Perhaps (and quite likely) Instagram would prevail if it were to challenge another’s registration of ‘IG’ for the same or similar goods/services; but that still would not mean Instagram could then register ‘IG’ when it does not, in fact, use that mark in interstate commerce. As for state registrations, those have very little precedence. That may prevent someone else in that same state from registering or using that same mark, but on a national level a state registration can not be the basis of preventing anyone from using that same mark in any other state. It could potentially be the basis for an Opposition proceeding, but by itself a state registration of a trade name or mark hold very little legal sway.